Spain qualified with ease from their group, winning 9 and drawing just once, and scored an impressive 36 goals while conceding just 3. Spain will be hoping to add to their only World Cup win to date in 2010, and with their qualification record they will definitely be major contenders and will push all the way to be involved in the latter stages. This will be Spain’s 14th World Cup campaign. During the Qualification campaign Asensio didn’t get many minutes on the pitch, only playing the full 90 minutes once in the final qualifier against Israel, and starting one other match where he was substituted after 78 minutes. In all during the Qualification campaign he played just 195 minutes, but his passing accuracy in that time was a very impressive 94%. In La Liga, he made 32 appearances this season, of which 19 of those appearances were starts, and the other 13 being substitute appearances. In those appearances he made 6 assists, and completed 1023 passes in all. There is no doubting Asensio’s technical ability, his first touch is exquisite and has an eye for goal which his 11 goals for Real Madrid this season will attest. This also points to a strong mentality, as he appears to be completely unfazed by the pressure of playing for such a demanding fanbase as the Bernabeu. He handles himself fantastically in high pressure games and doesn’t allow the occasion to overwhelm him. The biggest issue that Asensio has had this season though is in his consistency, and this will be something that he will have to work on in order to become a major force for Spain in the future. 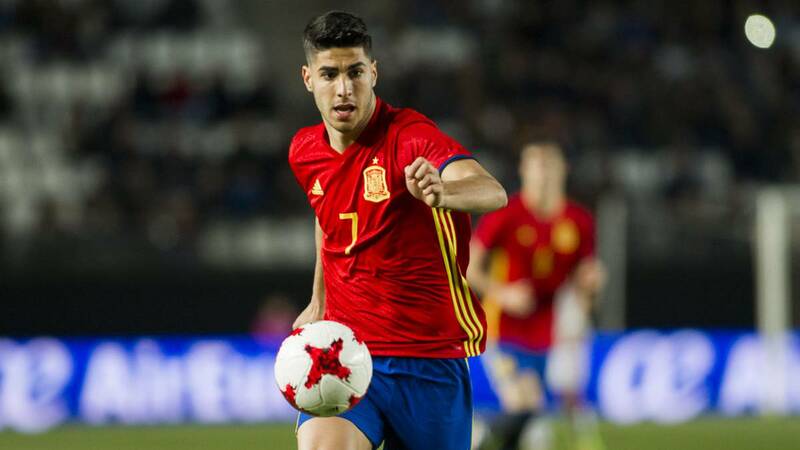 Whilst on the surface it may seem obvious that Marco Asensio could be a difference maker for Spain at this year’s World Cup, it would be a disservice to him to not train a keen eye on him during the tournament. The qualities documented above make Asensio a clear choice for One to Watch, he has all the ability required to go to the very top of the game, and has already won some major honours with Real Madrid with a League title, and 2 Champions League wins under his belt already. His vision and eye for a pass will prove to be a deadly weapon for Spain. He is only 10 appearances into his International career, with the majority of those appearances coming in lower profile friendly matches, but he is clearly highly thought of in the Spanish hierarchy. As you can see from the image above, Asensio’s technical ability is off the charts, and he can play in a number of positions across the midfield, even as an emergency striker. His physical attributes are impressive for a younger player, and he can only go from strength to strength as he continues to develop. To top it off, his mental attributes are as noted before, very impressive. He’s a great all round player and the World Cup could be the perfect springboard for him to push on and stake a claim for a regular starting place in the Spanish line up. This isn’t the only ‘One to Watch’, we are releasing a one to watch article for every nation in the World Cup. An hour before each team kick off their first World Cup Group Stage game, we will release that nations one to watch. These can be viewed here – One to Watch for all Nations in World Cup 2018.